Bear is our soon-to-be-8-year-old Collie/Husky mix. Chances are, you’ve probably seen him gracing my social media channels with his antics. We love Bear, but he can be quite a handful. Even at the cusp of his golden years, he’s still sharp as a tack, and we want to keep him that way…even if it means dealing with his shenanigans. That’s why we decided to try him on a food made especially for senior dogs. 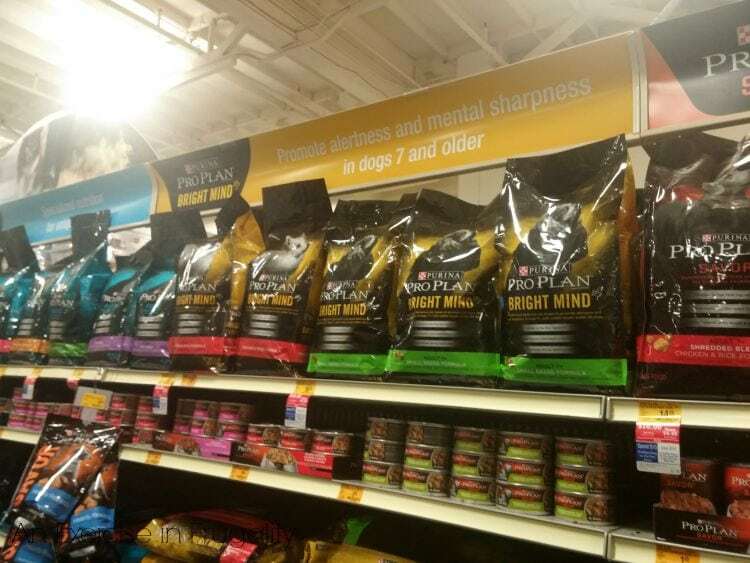 We started looking into Purina Pro Plan and found they now make a Bright Minds formula geared especially towards senior dogs. So we headed to PetSmart to pick up his new food! Needless to say he was pretty stoked for this adventure. Research shows that a dogs mental sharpness can decline beginning at age 7, when they are considered “senior”. 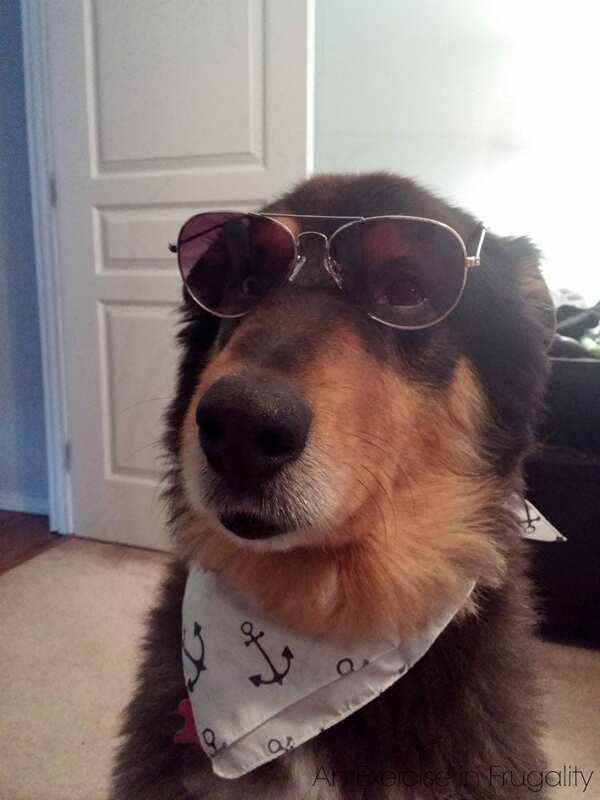 We want Bear to be his best, most alert self for many years to come. Owners who feed their senior dogs Purina Pro Plan Bright Mind as a daily diet may notice increases in owner-dog interaction, interest in play and the ability to adapt and cope with change. He was so excited he immediately started sniffing the food through the bag. 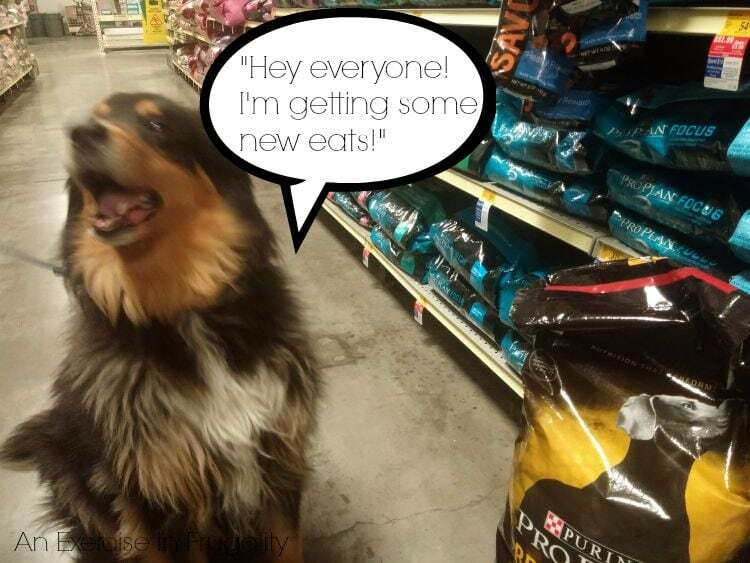 And then a dog barked a couple aisles over, and Bear had to respond. Clearly he was sharing his excitement over his new food. One of Bear’s favorite games is hide and seek. He’s really good at it. My husband will hide and Bear goes searching for him. After he finds him, my husband hides in a new spot. Bear always knows to go back to the first spot to check there first. Its really quite amazing to watch him problem solve and check my husband’s usual hiding places! We know that this game brings Bear so much enjoyment, and it always entertains us too, so we wanted to make sure he’s able to keep playing it for many years. Bright Mind contains added botanical oils, which when added to food help promote memory, attention span and train-ability. Bear’s ancestry as 75% collie means he’s an intelligent dog to begin with, but of course age can cause that mental strength to deteriorate. We’re hoping to see an even bigger interest to play in our sweet pooch. I’ll be updating you on how his alertness and memory has changed! 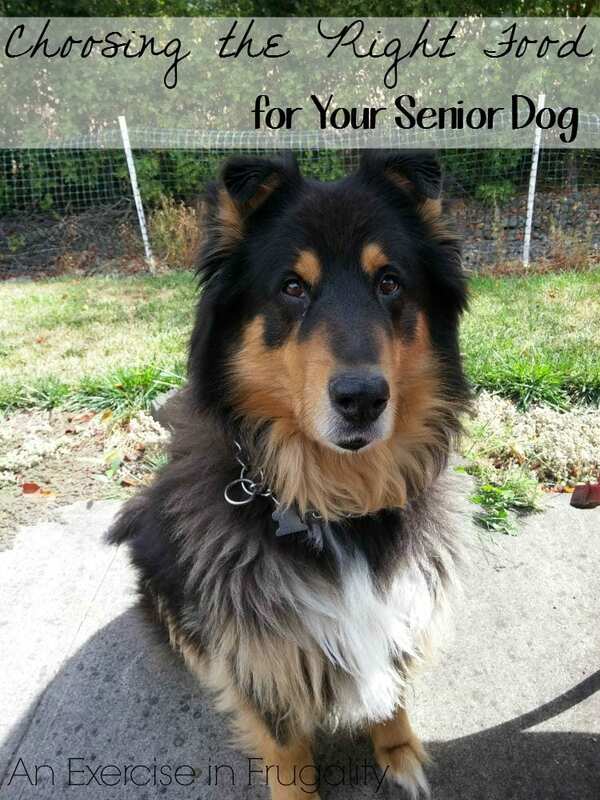 Do you have an aging dog or dogs? What tips do you have for helping maintain or improve cognitive function in a senior dog? Thanks! Bear LOVES hide and seek. It’s totally his favorite game. We started teaching him to play it by throwing a toy to distract him when we hide. Now that he knows the ropes, no toy is needed. Lots of fun! haha I always get a huge kick out of that video. I hope you can keep Bear sharp minded has ever with Bright Mind!